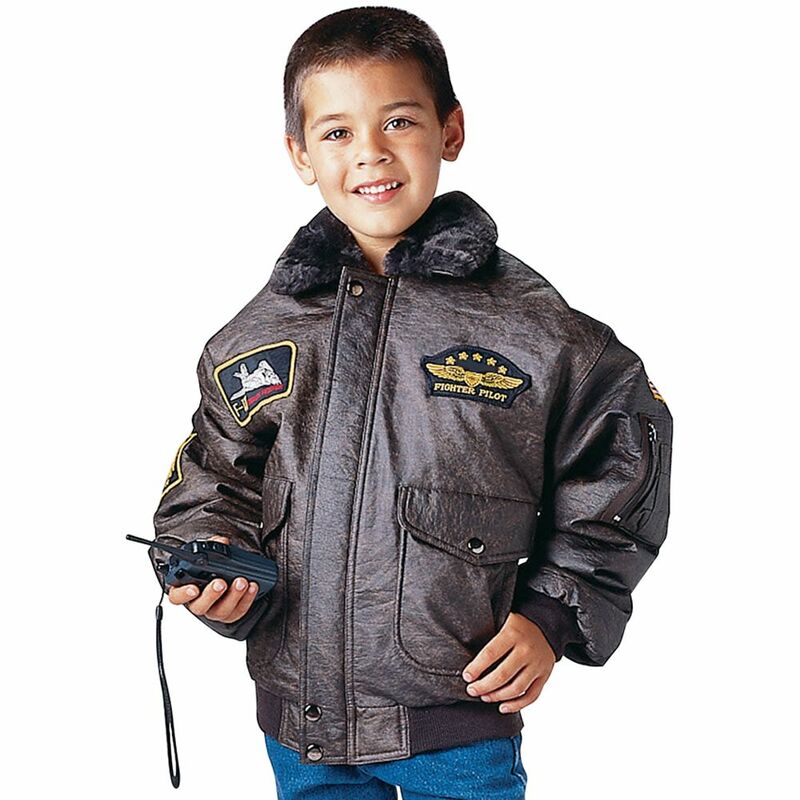 Kids WWII aviator flight jacket is made up of brown leather, mainly the outer shell. It includes zippered utility pocket which comprises of pen pockets on the left sleeve . The jacket comprises of four high quality Insignia patches, faux fur collar. There are two front pockets through flap and single snap closures and includes one slash pocket inside. Some of the features of the jacket are WWII map-print lining, poly fiberfill lining. Elastic knit wrist cuffs, waistband and collar. These are specially designed to meet the needs of kids. It is available in different sizes which makes it comfortable option. Dress your kid in this stylish and comfortable aviator jacket.